Entertaining golf experience can be availed by visiting the Beith Golf Club. 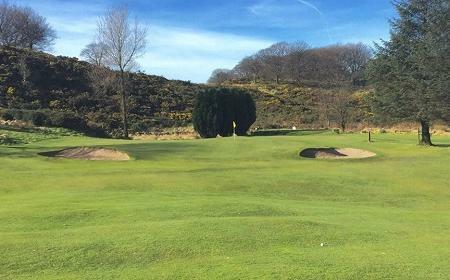 Hence, if you are a golf enthusiast travelling in the UK, visiting this wonderful golf course would let you play in a world-class 18 hole golf club. The greenery of this place is magnificent. The setting is beautiful and the facility offers great help to all the visitors. The clubhouse is another attraction of this golf course hence the members truly like the place. The whole place is lovely and appealing. Hence, you will not only enjoy golf but all your moments here. Use Beith trip planner to visit Beith Golf Club and many others to your visit. You won't miss your home when in Beith, hotels in Beith like No 10 Guesthouse, Lynegar Guest House and Annfield House Hotel offer some of the best places to stay in the city. Create your own Beith vacation packages or choose from the ones made by travel experts. Also explore the best ways for how to reach Beith. Excellent club with splendid facilities. Members and staff offer a warm welcome. Challenging and hilly course with stunning views. Visitors welcome.